Did you receive this announcement? Hear about us from a friend? Either way, we are glad you are here. Explore our new website to learn more. 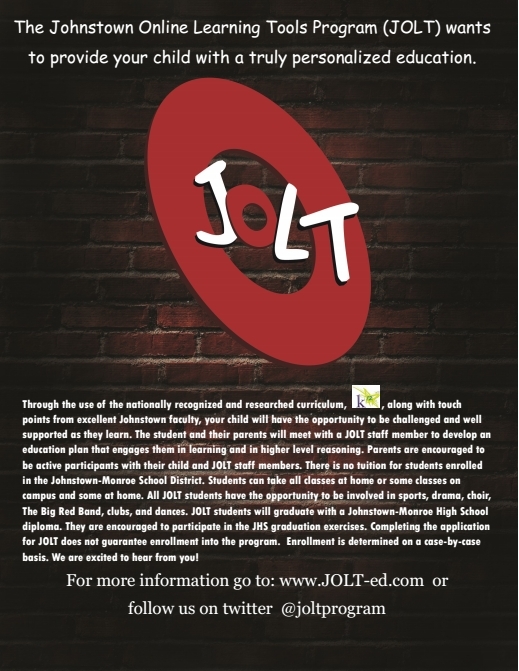 Although you will find quite a bit of information to help you decide if you’re a good candidate for the JOLT program, you may have questions or need more answers. We’re here to help, with lots of ways for you to reach us. Contact Us, and we’ll get right back with you. Or talk with Virtual Learning Coordinator, Jeff Rings, via telephone 740.967.2721 ext. 3250 or email.